Last year in October I brought bunch of Lakme Eyeconic Kajal from India. 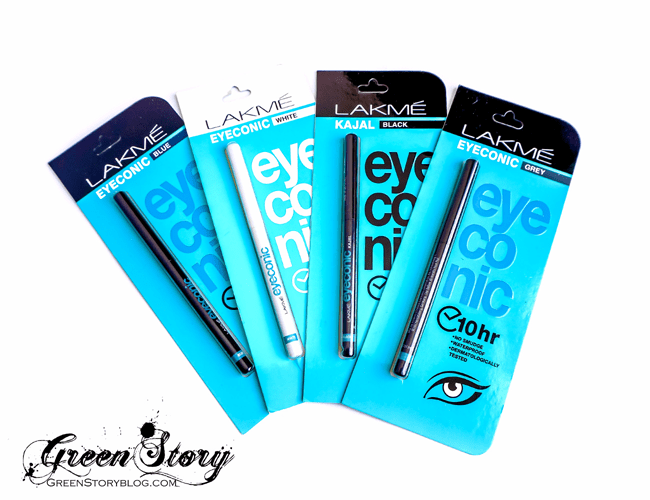 Mainly that was for to stock them up because I’m an old fan of Lakme Eyeconic kajal in black. That time along with black one I also got Blue, Grey and White to try. I was suppose to write this review long time ago but the lazy me and time management hold be back till now! Apart from this four color there is also two more color green and brown of Lakme Eyeconic Kajal available in market. They claims to be long wearing up to 10 hour, smudge proof, waterproof and dermatologically tested. 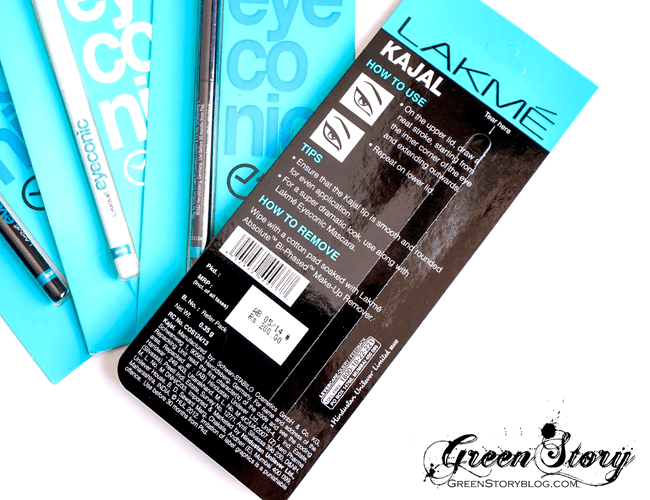 Packaging of Lakme Eyeconic Kajal is very random like all other twist up liner. Every pencil contains .35g of product. Among all budget Kajal available in market Lakme is my favourite. First reason, they are very smooth to apply compare to others. They glide on supper easily in waterline and with one/two swipe I get that perfect opaque color. About the shades I got, as I mentioned before black is my favourite always. Some people find this black isn’t black enough but it’s completely fine with me. I die on its smoothness mainly. White one is another best white kajal that I have experienced so far. 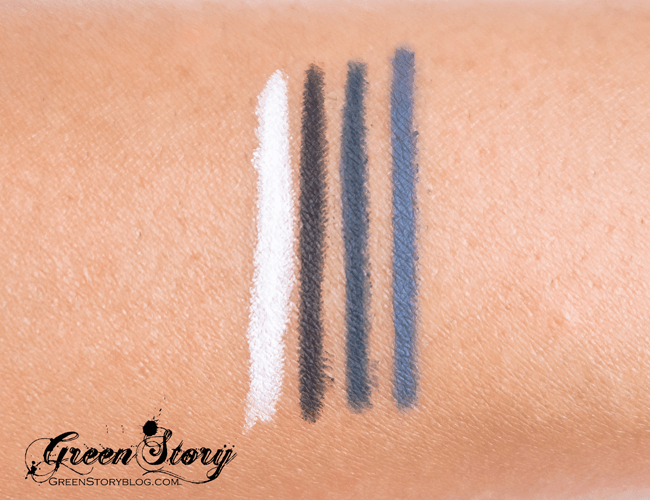 None of the white kajal/liner I have used so far stayed in my water line with full opacity but this one. I find the blue one little bit disappointing in terms of color. This blue is almost close to black not that deep navy blue I expected. Grey one appears to be blue-ish grey with opaque pigmentation. 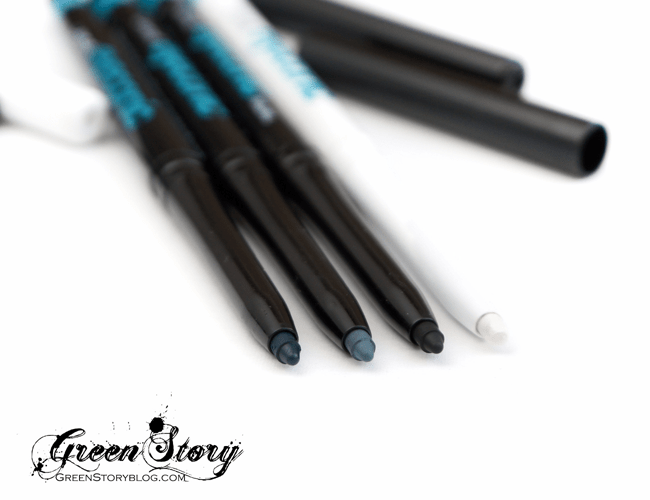 Lakme claims these liners to be smudge proof but they are not. As you can see from the picture above they does smudge with of course strong effort. They do last long in eyes if you don’t touch them. I wore these liner up to 6/7 hour and they stayed put all the way. These liner also turned to be safe in sensitive eyes like mine, they didn’t occur any allergic issue. Taking them off isn’t hard either but if you want to wear them in waterline then you might need to use a good remover to take them off. Overall, I love Lakme Eyeconic Kajal. I already went through few of black one and will repurchase that again for sure. At least for me they are the best budget kajal available in market. I highly recommend them if you haven’t tried one yet. These are widely available in India ( RS 200) and Bangladesh (BDT450/-). In Malaysia selected Guardian Carries whole range of lame product. 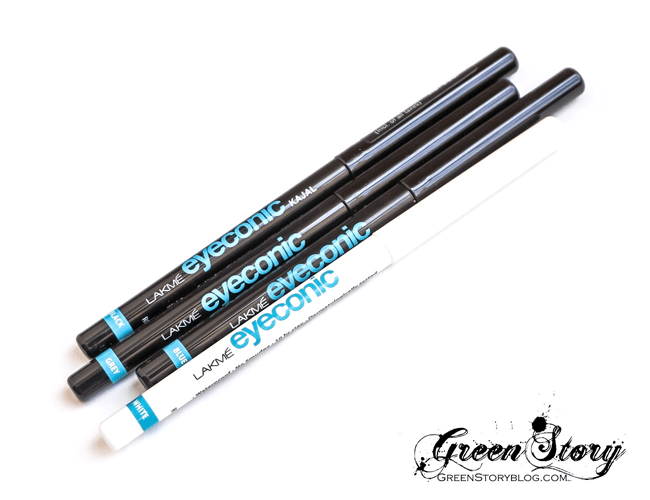 Lakme Eyeconic Kajal retails here in Malaysia for 20RM. You have a post about top 5 smudge proof kajol.cant gind it now..need it badly..plz send me the link..u.. Thanks for dropping by dear, I actually posted that on my fb long ago. You can browse through my fb photos. I wanted to mean whr can i get all the shades in bd? Most of the cosmetics shops have them. Specially Astorion, Uttara Family needs, Priyo has variety of shades. I love it…i wanted to buy the green one…but the color didn’t turn out as I expected it to be…btw,whr did u buy it from? I know right :) I also wanted the green one but that seems almost blackish so I skipped that. can u suggest a kajol that wont bleed on the outer corner of eyes? :( since its not that smudge-proof, this one will bleed also? 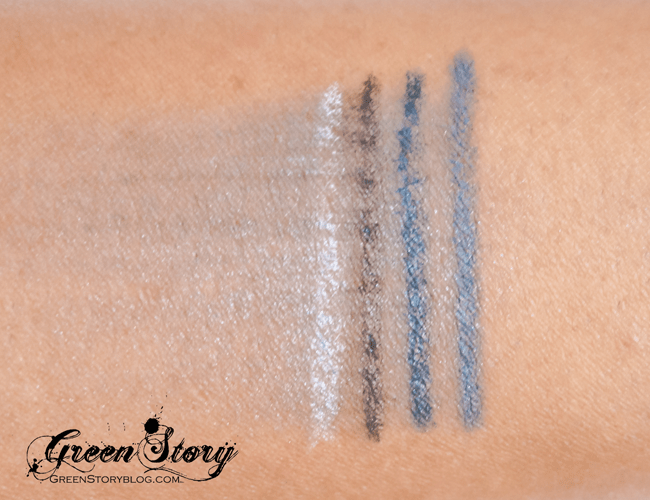 You can try Maybelline colossal kajal, that one is quite smudge proof. If you want a high end one then i would highly recommend Stila smudge stick. Wow, the white eyeliner is pretty opaque! I think that would be perfect for kawaii looks! I love the oriflame new stylo eyeliner kajal.. but lakme has got iconic status. Thanks for sharing. oh sadly its’ not smudge proof but it does look good the colour! These look great. I really want to try the black one now. i know right, i love them aswell. its such a great product! i must have and try. i love their black and white color pencil. is it waterproof? I know right, this is the only draw back that many won’t like. yes it is a major drawback.